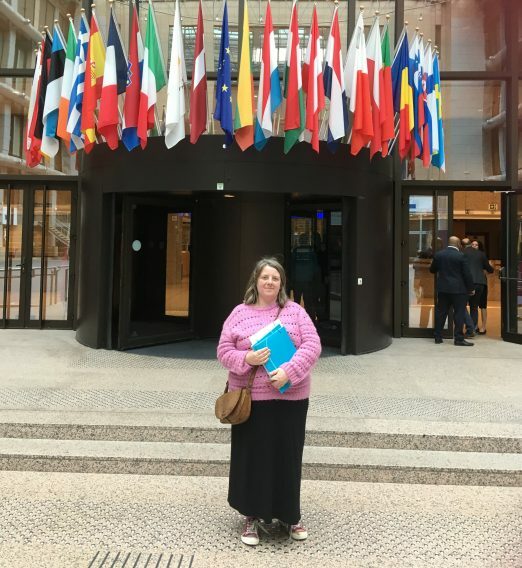 From the 26th – 31st March I helped lead the study tour organised by Quaker Council for European Affairs (QCEA) and Woodbrooke. When we planned the tour we had expected that the UK would leave the EU during our time in Brussels but much like everything related to the UKs exit, this too, did not go to plan. We hoped during our time together to teach participants about how the EU worked, to meet those working at this level, to share our feelings about the withdrawal and to consider as Friends how we can continue to engage as a community of Friends from across Europe in matters of peace building, human rights and climate justice. This was achieved and more, as a group of 30 we came together and created a sense of solidarity and fellowship. In a time of great division, I felt we were swimming against the tide; creating connections. How can we as Friends work to heal the divides created by the referendum, by austerity, by fear of what the future will bring? This tour was planned to be neither pro or anti Brexit; but on a personal level it was hard not to feel a sense of loss at what we are losing when I do not yet have a sense of what we might be gaining. 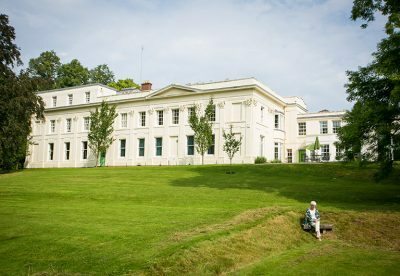 Woodbrooke is a place of learning; we have experience in creating safe places for exploration, education and challenge – opening up possibilities of transformation. Working in partnership with QCEA; experts in their field; we were able to create a unique learning opportunity in the place where learning was needed. On the Friday, the 29th March and the eve we were due to leave the EU we held an online meeting for worship, this was one of my first experiences of worshipping online. I naturally felt a level of anxiety over logistics but also asked myself, how would it feel? As we logged on and up popped the names and pictures of the Friends that joined I felt connected on a deep level with those who joined and those who worshipped at that time – connected online or not. I felt a sense of solidarity with Friends from across Europe and was reminded of the need to make time to connect with one another. As the country endeavours to put one foot in front of another in order to find a way forward, working in partnership, creating friendships and educating ourselves seems be a good place to start.